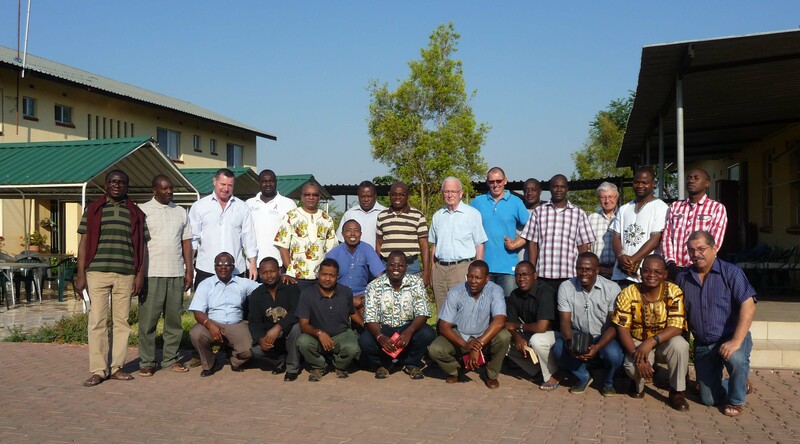 SAP Pre-Capitular Assembly took place in Mid-November 2015 at Kasisi Retreat Centre in Lusaka. Those who attended the meeting were Fons Vanden Boer, Remacle-Lamec Ciza, Deogratius Ngowi and Raymond McQuarry from South Africa. Then Robert Tebri, Michel Sanou, Paul Namono, Filiyanus Ekka and Simeon Kalore form Malawi, Julian Kasiya, Fidel Salazar del Muro, Jean-Bosco Nibigira and Boris Yabre from Mozambique, Norbert Nkingwa, Bernard Udelhoven, Benjamin Itungabose, John Itaru, Adelarde Munishi, Patrice Sawadogo, Romaric Bationo, Francis Bomansaan, Venerato Babaine and the Provincial Stanley Lubungo from Zambia. The Animator was Luigi Morell and the Secretaries were Serge St-Arneault and Didasio Mwanza. Most discussions took place in the main hall though five groups studied the content of SAP recommendations for the 2016 General Chapter. The last day saw the confreres enjoying an outing at Chaminuka private Park situated is about 45 minutes from the venue of Kasisi. They enjoyed a time of relaxation exploring the environment were a variety of animals can we seen on the ground and by boats. Enjoy the pictures. Chaminuka is also well known for its artifacts, sculpture collections for all Africa (quite a few from West Africa), paintings and modern sculpture made out of cars’ spare parts. MIMSAF, the Friends of the Missionaries of Africa in Zambia, invited all the M.Afr and M.S.O.L.A. for a special Mass at the Good Shepherd’s church, Kabwata, Lusaka, to commemorate the death of our founder Cardinal Lavigerie. A snack was offered after Mass for everyone including the altar boys. Antoon Oostveen was the main celebrant. He enlightened some aspects of the personality of our founder thanking God for his inspirational strength which is helping us to accomplish our mission in Africa up to now. Celebrating our history together, both in what has united us as in what has separated us, will help us know each other better so as to be ever more faithful to our common vocation. As brothers and sisters, we are called to collaborate in order to bring the Good News through our daily lives. Let us together speak to Cardinal Lavigerie about our past and receive from him appreciation and advice. May the activities we undertake during this coming year help us look at our past with gratitude as well as with realism, so as to gain more energy for living our present challenges! May Cardinal Lavigerie bless us in all our endeavors! “These are problems caused by poverty and equality but it goes well beyond that,” he told the Trust Women Conference on women’s rights and trafficking hosted by the Thomson Reuters Foundation. Detailing some cases involving trafficking and slavery, Studzinski said the treatment of some victims was horrific. “These sisters do not trust anyone. They do not trust governments, they do not trust corporations, and they don’t trust the local police. In some cases they cannot trust male clergy,” he said, adding that the low-key group preferred to focus on their rescue work rather than promotion. Studzinski said the network of religious sisters, that was in the process of expanding, also targeted slavery in the supply chain with sisters shedding their habits and working alongside locals for as little as 2 U.S. cents an hour to uncover abuses. He said Talitha Kum, which translated from Aramaic means arise child, was now being hired by companies to see what is going on with respect to the supply chain and expanding globally would help address this issue. “You can’t generalize about trafficking and slavery as no two countries are the same,” Studzinski said. 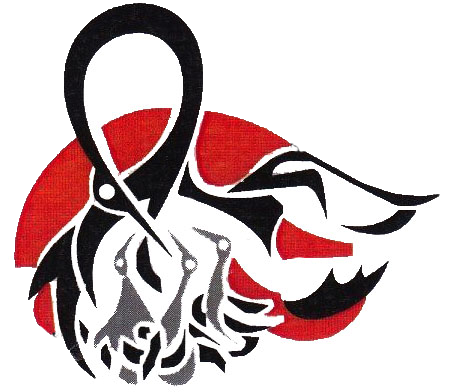 Fill us with peace that we may live as brothers and sisters, harming no one. Dear Confreres, I hope you are all doing fine in your respective ministries. For those who have not heard this yet, it’s with sadness that we learned on Saturday early morning (14 Nov 2015) of the death of Lazare Ndajizimana’s mother. Mama Marie Anne NDERERABANDI passed on at the age 65. She had been suffering for few months. The burial took place on Sunday 15 Nov 2015 in the afternoon. 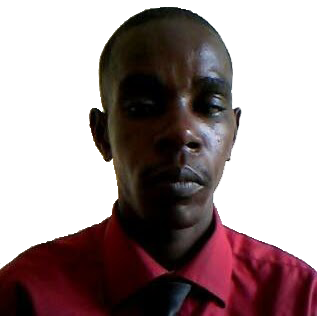 Lazare is our first year Rwandese stagiaire and is posted in the Mzuzu community of St Thomas Parish. Lazare had the chance to go back home and spent some days with his mother before she returned to the Lord. We pray for the repose of her soul and for the entire family that they may find their comfort in the Lord. To Lazare, I say, humura, mukomere cyane. The Central Statistical Office in its October press release announced an increase in inflation of 6.6 percentage points. The October inflation of 14.3 percent is almost double the September inflation of 7.7 percent. The sharp increased has been blamed on the depreciating Kwacha. To many Zambians, the increase is not a surprise but a confirmation of the escalating commodity prices most of which have more than doubled in the last few weeks. The October Basic Needs Basket for a family of five living in Lusaka as measured by the Jesuit Centre for Theological Reflection (JCTR) exhibited a very similar trend reflecting an increase of K302.1 from K3, 957.46 in September to K4, 249.56. Costs contributing to this was almost all of the food commodities (i.e. 12 out of the 15 food items had seen a rise in cost, the highest being that of Kapenta that saw a K50 increase). In comparison to the Lusaka October 2014 BNB (which stood at K3, 635.83) there has been a rise of over K600 (16.8% increase). It is also the first time that the Lusaka Basic Needs Basket has breached the K4, 000 barrier and thus a cause for concern to JCTR. This development is of great concern especially that the depreciation of the Kwacha continues unabated. The continued deficit in energy supply and the resultant decline in productivity will make recovery in cost of living even more difficult. In response to the rising inflation Bank of Zambia has raised the policy rate from 12.5 percent to 15.5 percent and also lifted the cap on lending rates by commercial banks. This monetary policy instrument is meant to curb the rising inflation and keep it within the single digit target for the year. This raises one key concern in the midst of rising cost of doing business and declining productivity. While the policy may slow down inflation in the short run, it may further stifle productivity as investors hold back their investment due to increased cost of credit. Reduced productivity may in turn result in inflation through reduced supply of commodities. The Bank of Zambia should therefore balance well the need for low inflation and sustaining productivity. The move to raise interest rates will also hurt individuals with personal loans that have flexible interest rates as they will be required to repay their loans at the new rates. At a time of crisis like this the JCTR urges government to combine well its policy response to the current economic situation and not always trying to find quick fixes. Recently Government offloaded its reserves on to the market to protect the Kwacha from further depreciation but the Kwacha continues to depreciate and is currently trading at 14.02 (as noted on BoZ website). While these measures may yield temporal relief by way of dealing with the symptom of the problem and not the cause, Government needs to look at the bigger picture by devising long term solutions that lie in diversifying the economy. Raising of interest rate does not seem to be a good recipe for this long term approach to addressing the country’s current economic challenges such as improving value addition and growing our manufacturing industry. 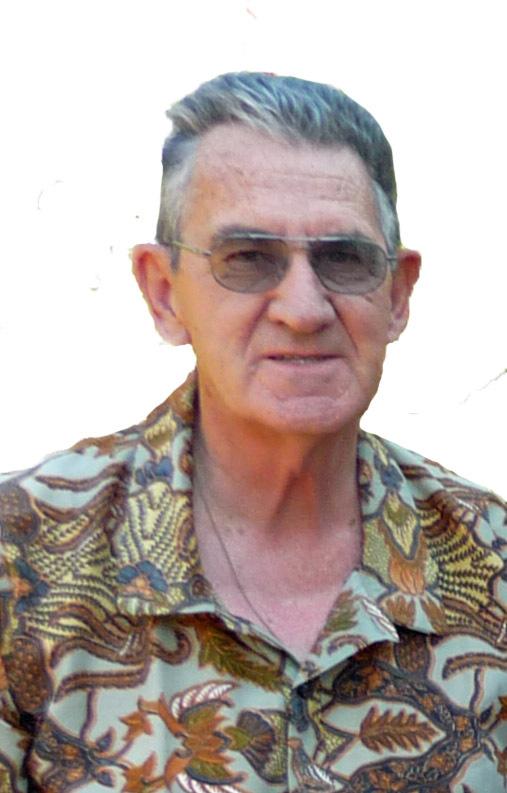 I like to inform you that my brother Michel Garand pass away at Victoriaville Canada on 5th November 2015. He has been suffering of a cancer since many months, he was 73 years old. His wife died also of a cancer two years ago when I was on home leave he has four children, three boys and one girl. I do not know yet when the funeral will be? “I was a stranger and …” Mat. 25, 35. Ressano-Garcia railway station in Mozambique. On Friday 15th May 2015, I was standing on the platform of the Ressano-Garcia railway station waiting for a very special train coming from South Africa which was foreseen to cross the border at 08:00. It finally arrived at 12:30 carrying 420 Mozambicans, mostly youth with no other possessions than their clothes. About 50 South-African Police were manning the train. Twice as many, including Immigration Officers, were on the Mozambican side. A South-African helicopter was flying over our heads to supervise the proceedings. Everything went well. The “victims of xenophobia” (name given to these people by the local population) were made to sit on the floor in groups of 50. They were immediately dispatched to 7 buses and 4 railway carriages that had been waiting since early morning. What was their crime? They were simply caught by the new South-African law by which men-hostels and flats are systematically searched, preferably in the middle of the night, to arrest any undocumented person. They were then sent to the Lindela Transit Holding Centre before being escorted to the nearest border post. These work-seekers are treated like criminals in the name of security. This is a futile and expensive exercise because, as far as Mozambicans are concerned, they can go back at will to South Africa since the border is so porous. What is more disturbing is the general feeling. In spite of official denial, foreigners, even businessmen, are not wanted anymore in South Africa. It is time for us Christians to stand up and claim with the Freedom Charter that “South Africa belongs to all who live in it”. This can be applied to anyone because there is a little bit of a foreigner in each one of us. We need to uphold the Biblical Tradition found in Leviticus 19, 33: “Do not ill-treat foreigners who are living in your land, treat them as you would a fellow-Israelite and love them as you love yourself. Remember that you were once foreigners in the land of Egypt. I am the Lord your God”. ARCHBISHOP of Lusaka Telesphore Mpundu says President Edgar Lungu’s construction of the New Tabernacle National House of Prayer is a joke. 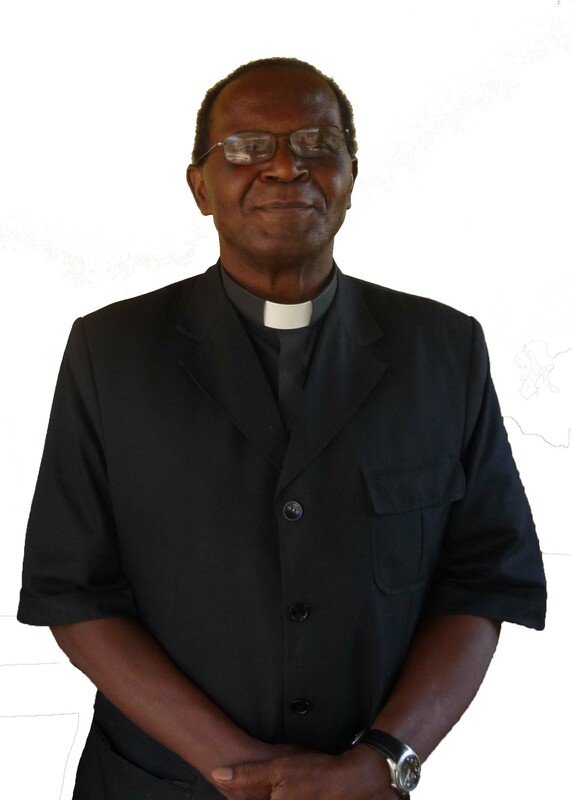 In an interview, Archbishop Mpundu said the interdenominational church being constructed by the government in Lusaka’s Woodlands area would remain a white elephant. From front page “This is a secular society, not a theocracy. A theocracy means politics and religion are one and the same. Here is a government coming up and trying to build something interdenominational. Now, what about those who are not Christians? Because when you are talking about denomination, you are talking about Christian denominations, so the Hindus, the Muslims, the non-believers are excluded,” he said. 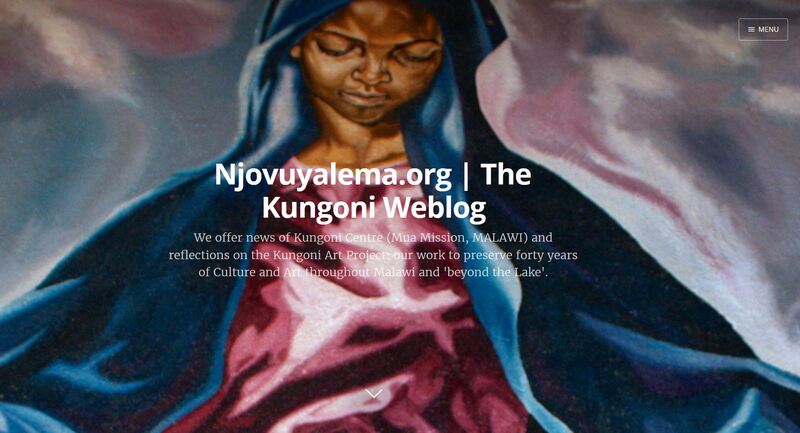 “It is a joke for this interdenominational whatever building…It will be a white elephant. We have our own churches. I don’t want to go and worship at the Anglican Church, unless I am going there for a function. I am Catholic and I go to the Catholic Church. Now you build something and you say, ‘Okay, come to pray here’, they have no right to tell us where to pray.” Archbishop Mpundu said politicians must stick to their calling and not stray into priestly duties. “This is not their domain, their domain is politics. But let them go ahead, it is their prerogative, although it will be a white elephant and I won’t go there anyway, unless there is something like a funeral and then there will be a service of some kind,” he said. Archbishop Mpundu said the government could have used the money for other things. “If it is a funeral, for us we take the body to the church and we do not have a service, we have mass, a requiem mass. Let the government go ahead, they have the money to do that, maybe they could have used the money better but to me, it will be a white elephant. Why are they building it? I don’t even know. We just ignore the thing. It doesn’t concern us. It will be a white elephant…,” he said. Archbishop Mpundu wondered if the government was trying to build a venue for state functions. “I don’t know why it is being built but maybe they want something to use for some functions, but they don’t need something like that. If the place is not big enough, they can go to the Showgrounds like what we had the other day. And personally, I think it was some kind of a circus for the State to declare when we should be praying and fasting because during lent, we have 40 days of prayer and fasting. Now someone should come and say ‘let us pray and fast’? That is not their realm. Even if they had invited me, I wouldn’t have gone because that day, I was at St Ignatius praying,” he said. 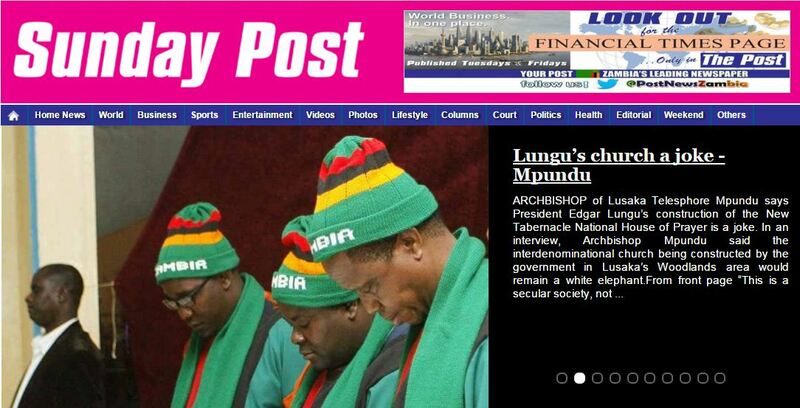 Meanwhile, Archbishop Mpundu said the Catholic Church had the right to pass moral judgment on the government. He said if people were poor, not free and did not have enough food, education, the church needed to speak out. “The Catholic Church is free to speak about that. Even though our core business is to proclaim the gospel, we have a duty to speak out on issues that affect the people,” Archbishop Mpundu said. And commenting on President Edgar Lungu’s statement that the best candidate in the 2016 general elections should win on a clean slate, Archbishop Mpundu said people will be able to make a moral judgment on who to vote for next year. “I wouldn’t know what he meant when he said a clean slate. You go there as a presidential candidate and people judge you by your ability, your track record. We do not choose individuals. We are going to elect people we think… because sometimes we think they are going to perform and they don’t perform. It is the judgment of the people. I can make moral judgment myself that comes from policies which a particular administration makes. I am obliged to make that kind of judgment myself,” said Archbishop Mpundu. Here the PDF file of this article. The stagiaires appointed to Zambia met with Venerato Babaine, the Delegate Superior, in FENZA on Thursday 22, 2015 to evaluate the language course in iciBemba and Cinyaja they have received. The four stagiaires gave also their appreciation about their stay and promised to send a written report to Father Babaine and FENZA. 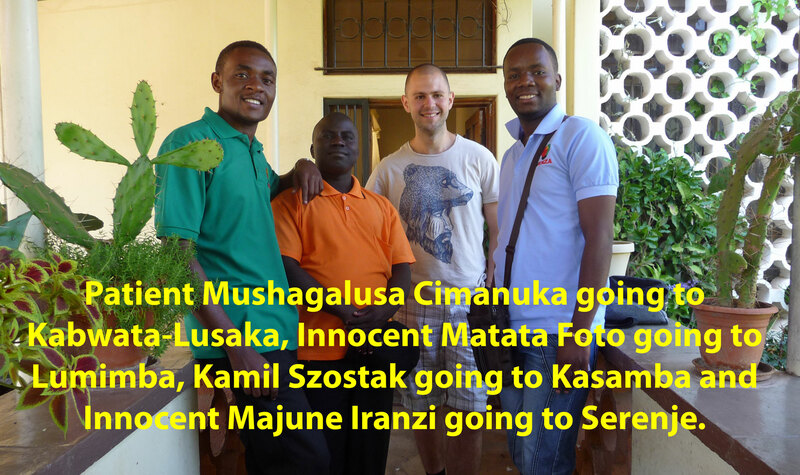 At the meeting were: Patient Mushagalusa Cimanuka going to Kabwata-Lusaka, Innocent Matata Foto going to Lumimba, Kamil Szostak going to Kasamba and Innocent Majune Iranzi going to Serenje. 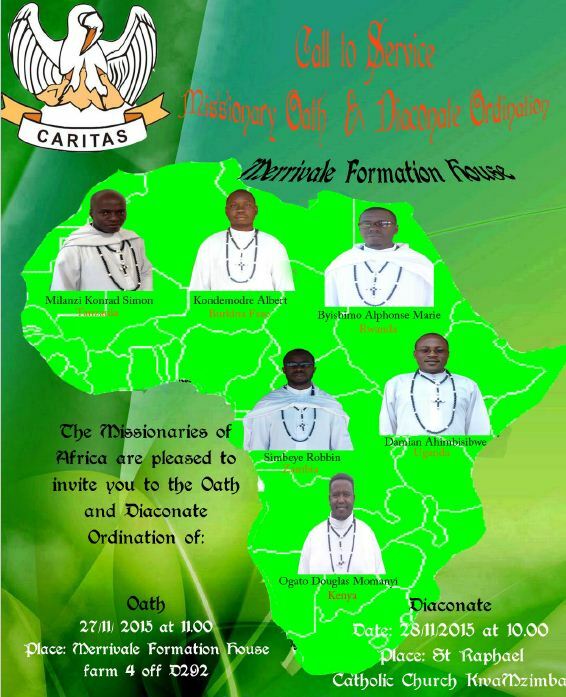 Dear brothers, at the end of this missionary month, it is with great joy that as Media Team of Merrivale Formation House in South Africa, announce and invite you to the Oath and Diaconate ordination of our six brothers. Kindly join us or unite with us in prayer. Happy all Saint Day to all and the mission continue together with Jesus. Chers frères, à la fin de ce mois missionnaire, la maison de Formation de Merrivale vous annonce et vous invite au serment missionnaire et aux ordinations diaconales de six de leurs frères. Associez-vous à nous dans la célébration de leur engagement. Bonne fête de tous les Saints et que la mission avec Jésus continue. 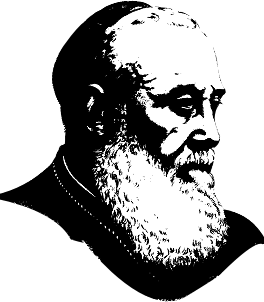 To be ordained: Tanzanian Milanzi Konrad Simon, Burkinabe Kondemodre Albert, Rwandese Byishimo Alphonse Marie, Zambian Simbeye Robbin, Ugandan Damian Ahimbisibwe and Kenyan Ogato Douglas Momanyi.